Matt Maher's latest Grammy-nominated collection features songs dedicated to the lives of individuals who significantly impacted the history of the Church. Sometimes in order to move forward, you have to look back and remember where you've been. 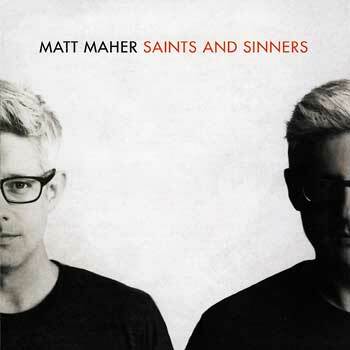 It was in that spirit that Matt Maher's latest Grammy-nominated album, Saints and Sinners, came to being. The driving first track, "A Future Not My Own," is based on a prayer inspired by Blessed Oscar Romero. Its compelling lyrics will penetrate your soul. An ode to Martin Luther King, Jr., "Sons and Daughters," is a timely piece that speaks of racial reconciliation, of coming together to help one another. "Everything Is Grace," a powerful song based on a quote by Saint Therese of Lisieux, reminds us that everything—the good, the bad, the beautiful, the difficult—is a gift from God. The popular "Because He Lives (Amen)," based on the timeless Bill Gaither hymn, is a song of thanks and acknowledgement that we live because of Christ's death and resurrection. It is, in a word, moving. Throughout the experience of writing these songs, Matt has found that while we all come from different backgrounds, amass a range of experiences and even harbor conflicting opinions, the one thing that binds us together is our humanity. We are all in the process of being transformed, saints and sinners.